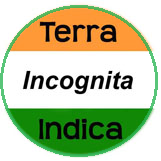 Terra Incognita Indica: Tsunami! Tsunami!! through the rocks, cliffs, rough land runs down! Nectar of earth runs down! Dark clouds pour down! fragments wholesome life; very little trickles down. runs down to rivers, to ocean to sustain life all. in cosy igloo gives loving warmth and shelter. of their personal and the collective living. Yet leave behind vital lessons: To be reborn. when the nature in abundance is there to help? Leave all the external aids that corrupt. Or the silent multitude hit back in Tsunami. mummified in the safe custody of the specialist. has ever received salvation, a liberated soul? At any point of time – place is a starting point. in the unified holistic life, and some honesty. © Remigius de Souza. all rights reserved. It's sensational post. I liked it.